I am an artist, as most hair stylists are. I work on canvas, wood, glass, and hair fiber which happens to be attached to your head! When I start a painting I like a white background. This is where the beauty of creation begins, on a clean slate where I can add any number of colors. Gray hair is actually white, it only reflects gray if the color around it is black or dark brown. 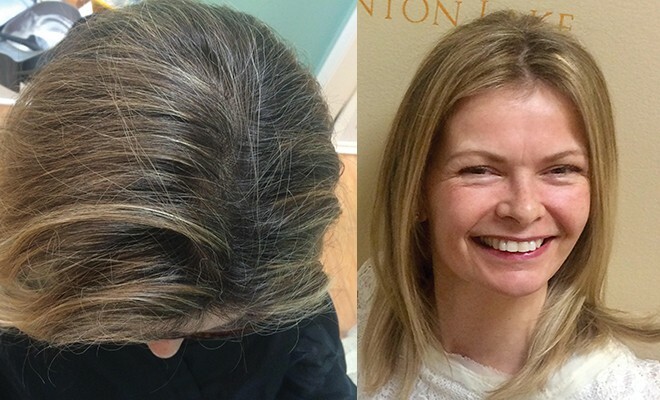 Think of gray hair as a mirror. When used properly it will reflect the colors placed around it. Instead of covering it up, let’s use this gift to enhance our hair. Don’t let fear scare you away from gray! Have the courage to try something different and trust in the creative process! I have been an artist all my life, it was the one subject I always got an ‘A’ in. It truly is seeing the world in tones, values and colors. I have been doing hair for over 25 years. In that time, I have seen many different trends come and go. I no longer follow the trends, now I create them! I am developing new ways of using gray as just another color on my palette. It has a pearlescent quality that no other color of hair has. Many of you are covering your natural pearls up. Let’s use this gift! The most beautiful hair color I do is using white hair. It will not make you look older when done artistically! In fact, I am excited to tell you, it will make you look younger! I know, you don’t believe me . . . you are not alone! Lots of people start out feeling this way. However, after they complete the transition process, they are getting more compliments then ever before. Treat yourself to transformation and let your hair be artwork! I would like to invite you to think differently. Ask yourself some questions. Am I bored with my flat single process color? Am I tired of the white streak which haunts me after 2-3 weeks of having my hair color done? Does my scalp itch or burn during hair color application or days after my service? Am I experiencing hair thinning or hair loss? Be honest with yourself. How is your self care? Does my current stylist take the time to listen to me, or make new suggestions? Do I feel cared for by my stylist? Be brave and make a positive change. 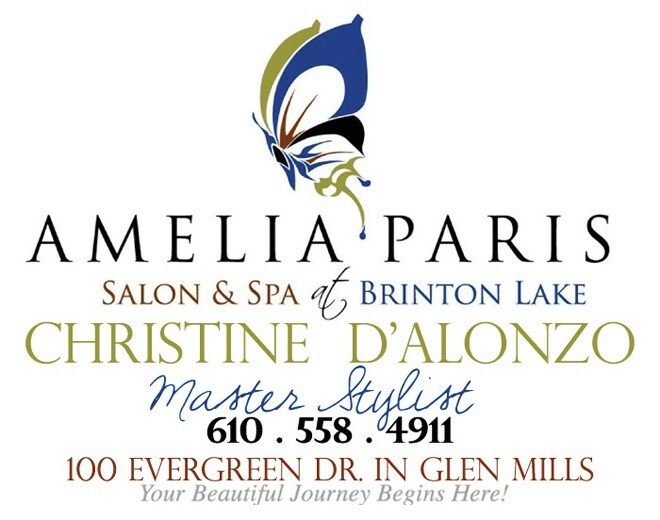 Let our exceptional team at Amelia Paris Salon help empower you to open yourself up to transformation. It begins with hair but it ends with creating the best you!